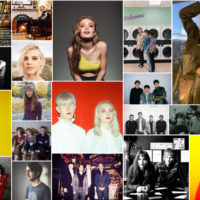 The Matinee ’18 April 30th includes 6 new tracks for your listening pleasure. We have a wide range of tracks today to get your work week started off right. Artists are representing Australia, Canada, The US and The UK. 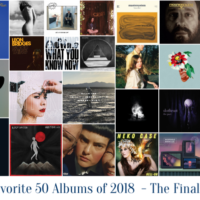 We hope you find your new favorite song or band today. “Cold Shower” is the newest release from alt-rockers A Festival, A Parade. The track is filled with urgent guitar, palpitating percussion along with a gloomy yet energetic vibe. 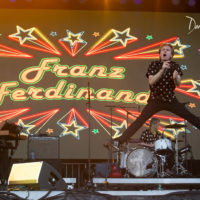 A Festival, A Parade continue to create awesome brooding indie rock. We are happy to have new material from the quartet as it’s almost been a year since their last single release. A Festival, A Parade is comprised of Joe Allan (vocals/guitar), Reece Spencer (lead guitar), Ollie Winn (bass), and Liam Tellum (drums). “Cold Shower” is the first single to be released from the bands’ forthcoming EP, Stay Away From Me, which will be released later this autumn via Tipping Point Records. 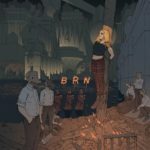 “BRN” is the newest track from Australian native AViVA. It’s a pulsating number that definitely gets your adrenaline going. The track is definitely an anthem for anyone dealing with oppression or being ostracized for being different. AViVA’s strong vocals take over throughout the track as they are surrounded by pulsating percussion and bass. “BRN” is definitely a modern day battle cry and is also an energy filled track that would be quite excellent to help you get hyped up and burn some calories. AViVA has already created a loyal fanbase with her continued social interactions with her fans. She will be spending the second half of this year touring and working on her ever growing catalogue of songs while splitting her time between Sydney and LA. Isla Craig has just released “The Becoming”. 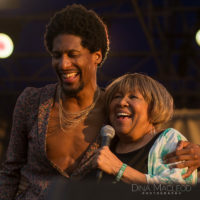 The track includes a myriad of sounds including Ms. Craig’s soothing vocals along with laid back arrangements that are soothing and almost pull the listener into a trance. The combination of electronic elements overlaid against a folk-acoustic base makes for a unique and intriguing sound. 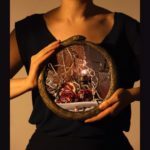 Isla Craig is not only providing unique sounds within her song compositions, but she is also telling stories with pointed lyricism that leaves the listener fully engrossed with each new song. “The Becoming” is out on Pleasance Records.It’s the title track to Ms. Craig’s forthcoming full length album which will be released June 22. 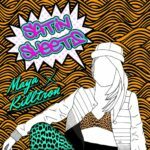 “Satin Sheets” is the newest release from Maya Killtron. It’s a complete nod to some of the best late 90’s early 2000s R&B pop. It’s a super upbeat track with all those nostalgic retro feels yet Ms. Killtron still provides that modern polished edge. After listening you know you haven’t exactly been transported back to 1999 when we actually might have owned at least one set of satin sheets, but the nostalgia for that time period and past memories is strong. “Satin Sheets” is out on Moustache Hibou Records. 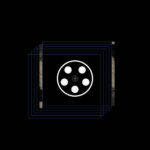 The single is from Maya Killtron’s forthcoming album titled Never Dance Alone. 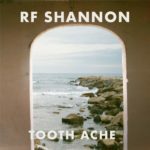 “Tooth Ache” is the newest single released from RF Shannon. It’s a track that can completely bring someone to an almost total state of relaxation. It also has that desert country vibe that begs to be played in a car or truck somewhere while in the middle of nowhere. 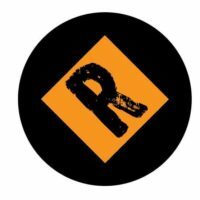 RF Shannon definitely accomplished their goal as “Tooth Ache” is that perfect track for that ‘backroad’ trip and the lyrics are perfect as they proclaim “Take it slow, I take it slow ridin’ the backroads”. The song is also a nice reminder to slow down a bit as life can sometimes get too fast or busy. “Tooth Ache” is off of RF Shannon’s upcoming album, Trickster Blues which is out May 4th as a co-release from Cosmic Dreamer (US) and Fuzz Club Records (EU/UK) with pre-orders from Bandcamp. RF Shannon includes: Shane Renfro (vocals, guitar, keys, percussion), Jesse Woods (guitar, keys, vocals), Austin Burge (bass), Luke Dawson (pedal steel), and Jeff Renfro (drums). SAN MEI is the project of Emily Hamilton. “Wonder” is a lovely alt-rock track that combines gritty guitar and airy synth. SAN MEI’s vocals are quite luscious as she tackles the beginnings of a relationship that could become quite amazing. It’s the classic take on all those what ifs once you meet someone that you believe could be the one yet you still don’t know much about them. SAN MEI shares a bit about the track: “it’s about that classic ‘butterflies’ moment when someone unknown to you captures your attention, and you’re not sure why. It’s that person becoming a daydream to you, wondering who they are, what they’re about and not necessarily wanting them to become anything more than some intoxicating illusion” . “Wonder” is out now on LXVI Records.